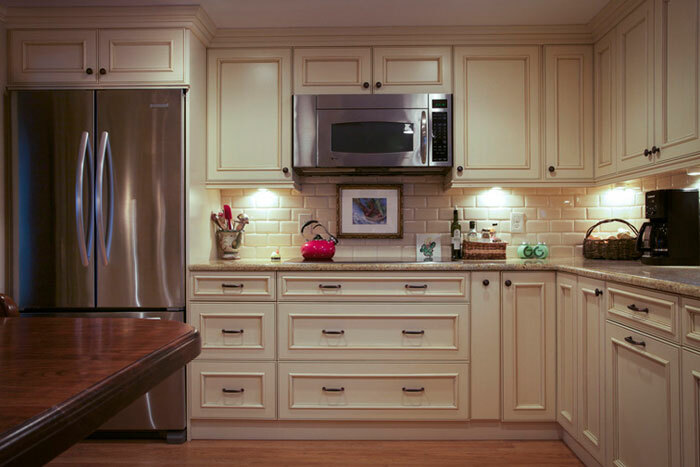 Choosing & buying cabinets is much different than most other purchasing experiences. We can’t emphasize enough how much the customer service & expertise of the company you choose to work with makes a difference to the final outcome and your confidence in getting there. 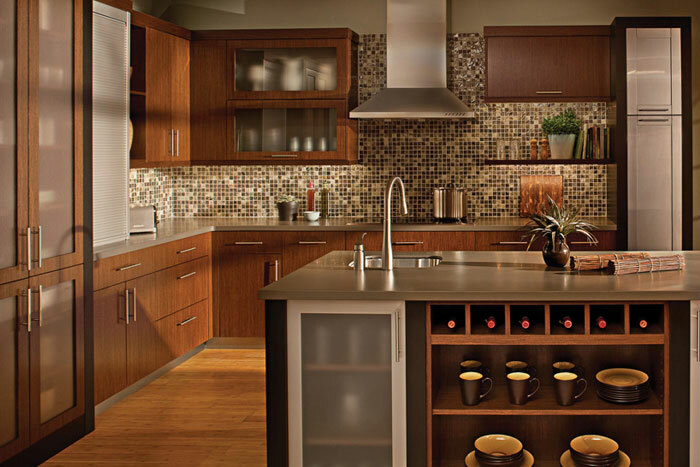 As far as style, your Carole designer will customize a kitchen design for you in virtually any look/aesthetic. As far as investment, we know that budgets vary, and so at Carole’s, you have choices across a very broad investment range. Our selections cover premier (known as full-custom), mid-range (semi-custom), and economy options, and we will do our best to meet your goals. The great news is that recently, some of our semi-custom lines are becoming more customizable and flexible—offering you more versatility within a price-range. At any investment level, you’ll get Carole service and a great explanation about options, styles, and wood species. As far as time frame, (other than a few economy-focused options which come in standard cabinetry sizes), please plan on about 6 weeks from the day you order until the cabinetry arrives in our warehouse. 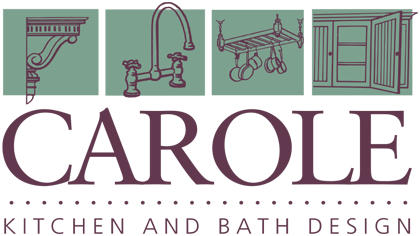 Want to know more about our cabinetry and browse real Carole kitchens? Visit us at 215 Salem St., Woburn to see an unusually large number of vignettes. It’s the biggest showroom around. 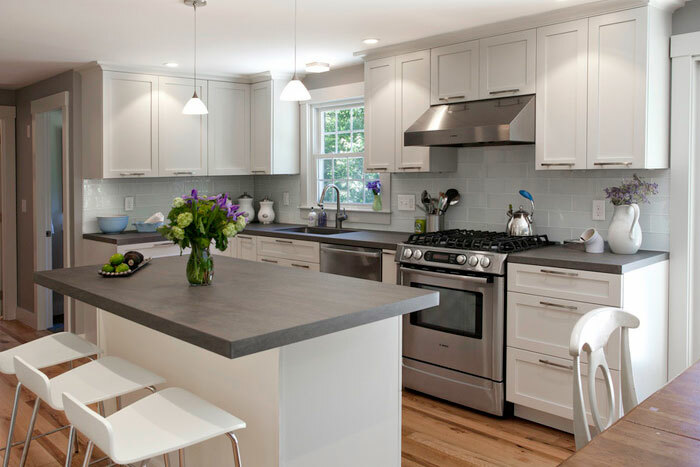 See actual, local project examples in our kitchen gallery on this web site or on our Houzz site. Continue on below to see beautiful brands we offer. Ready to request a complimentary design appointment? Click here. 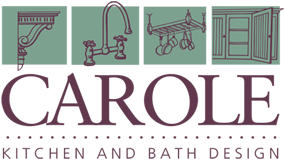 Carole Kitchen & Bath Design is the largest KraftMaid Cabinetry dealer in the region. 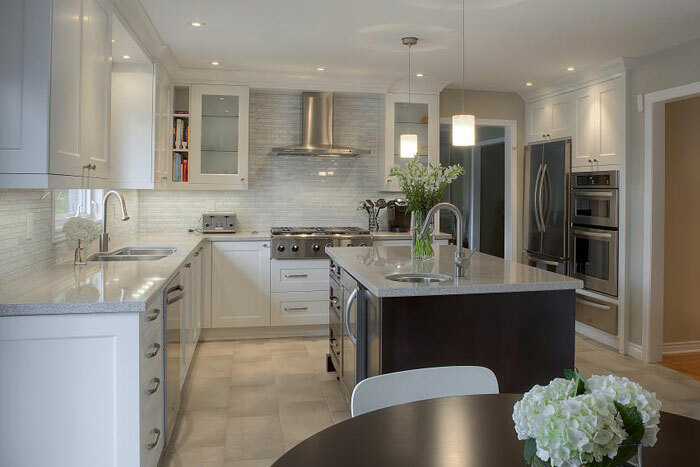 And KraftMaid Cabinetry offers an incredible breadth of design possibilities and can accommodate an amazing range for our clients and their wide scope of budgets. 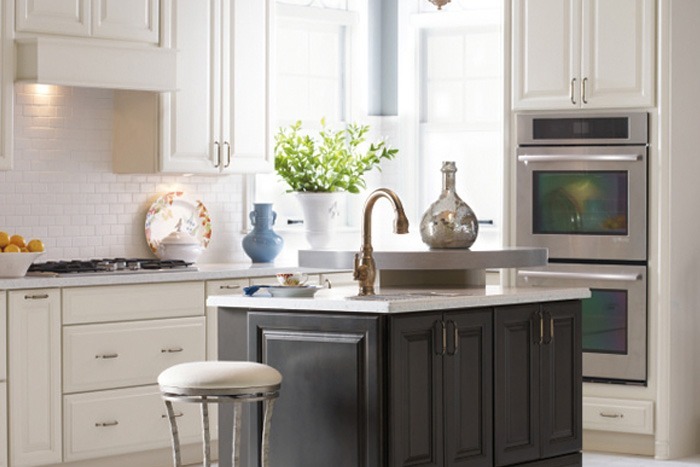 Within the KraftMaid line, you choose from more than 100 door styles, more than 65 finish options (including paints, glazes, and distressing), more than 200 storage solutions and thousands of cabinetry sizes and choices. They are an industry leader and one of the largest semi-custom lines available. 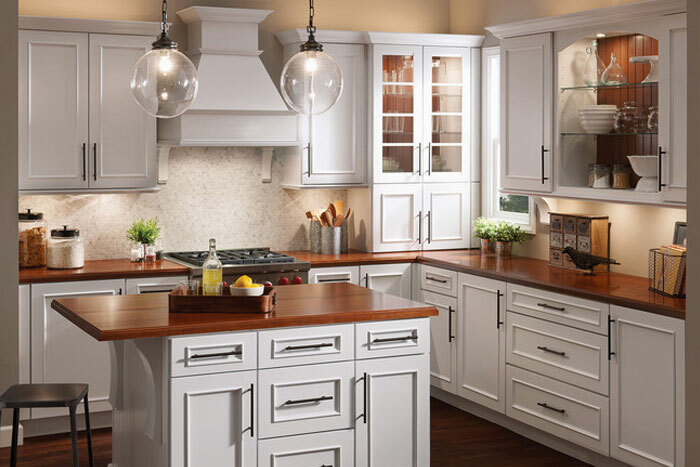 KraftMaid Cabinets are assembled in the United States with manufacturing facilities in Northeast Ohio. 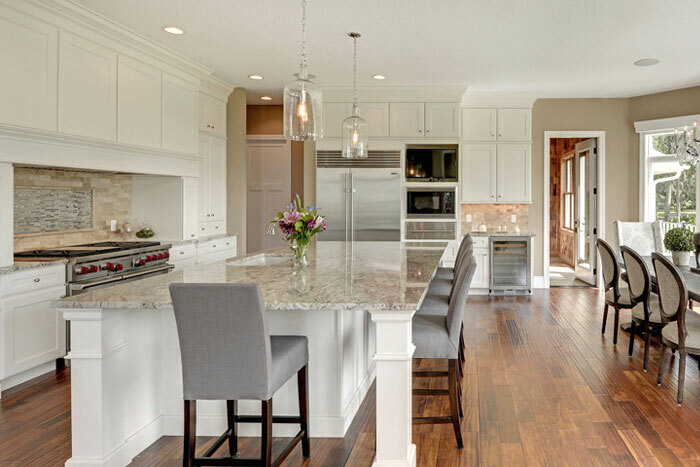 KraftMaid is 100% built-to-order specifically for each individual client bringing the custom look and customized cabinetry, without the custom price or custom lead times. 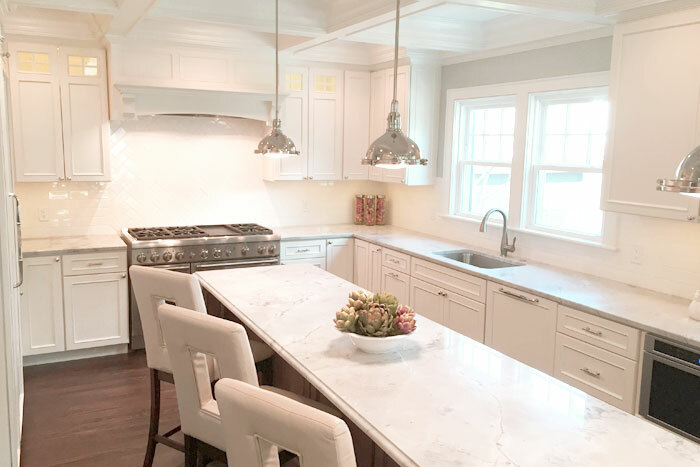 Elmwood cabinetry is selected by many of our Carole Kitchen & Bath Design clients who are seeking a full-custom kitchen design. 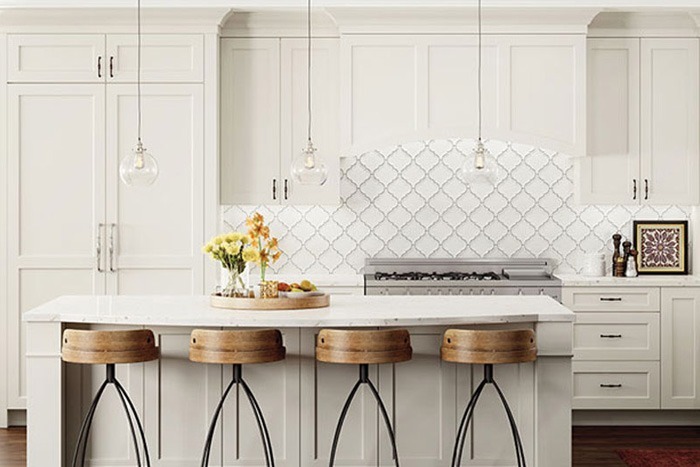 It’s a line known for using the finest hardwoods and cabinetmaking materials, and is certainly more than suitable for the bold yet functional designs created by our Carole designers to bring you a one-of-a-kind new kitchen. 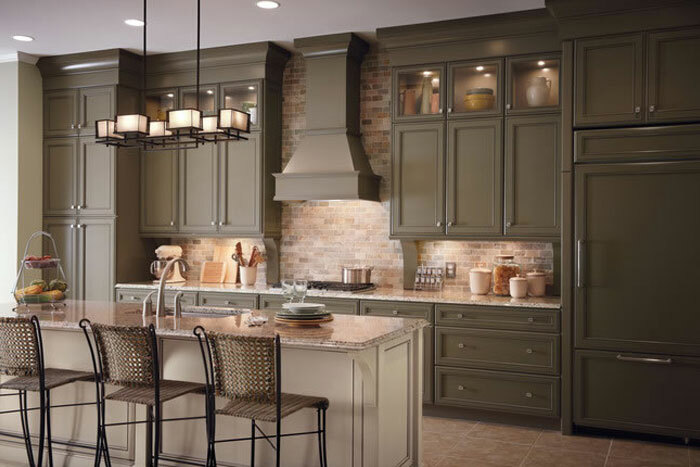 Executive Fine European Cabinetry is also built-to-order for you and also offers a wide selection of lovely corbels, posts, and turnings. 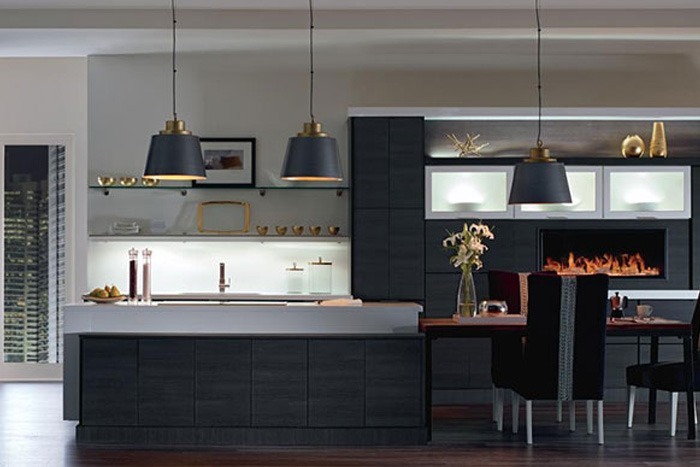 This brand is particularly known for being one of the ‘greenest’ (environmentally friendly) cabinetry lines available. 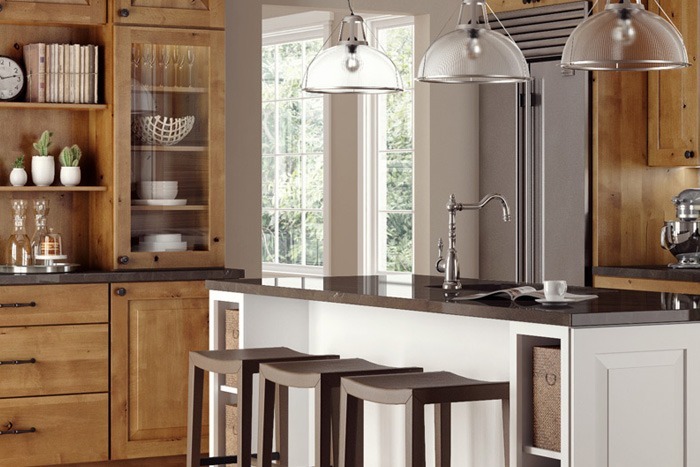 Woodland Cabinetry as a brand aims to be flexible and affordable. Whether your style is modern, classic, eclectic, rustic, Woodland offers thousands of color, door style, and organizational combinations. Choose the features that fit your style, life and budget. Diamond is part of MasterBrand Cabinets, another well-established cabinetry industry leader that comprises a breadth of quality cabinet brands. 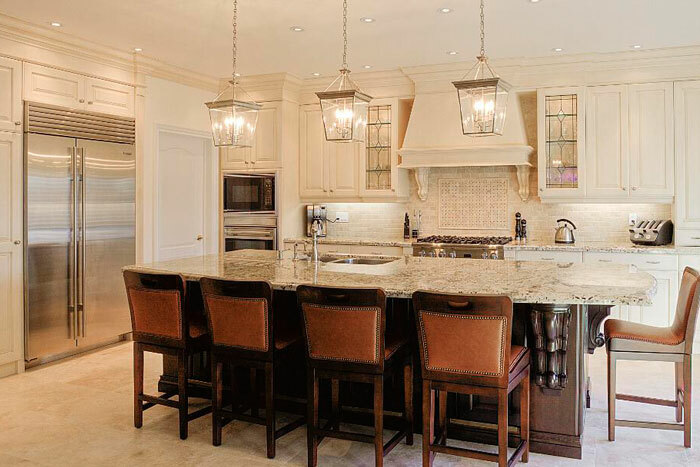 Our clients who choose Diamond cabinetry are seeking a semi-custom cabinetry approach.